In the United States every year thousands of pedestrians are injured or killed. In 2013, 4,735 pedestrians were killed in traffic crashes across America. In addition, in 2013, there were more than 150,000 non-fatal crash-related injuries of pedestrians that were treated in emergency rooms. Those whom are most at risk as pedestrians are older adults (ages 65 and older), children, and those impaired by alcohol. In 2013, 19% of all pedestrian deaths were those 65 and older. In addition, in traffic crashes that resulted in pedestrian deaths, 49% involved either an intoxicated pedestrian or driver (or both). Pedestrian safety is a serious issue nationwide. In the fall of 2014 Liberty Mutual Insurance released a “Pedestrian Safety Index,” ranking America’s 15 safest cities for pedestrians based on published government data and resident’s perceptions of safety for pedestrians. 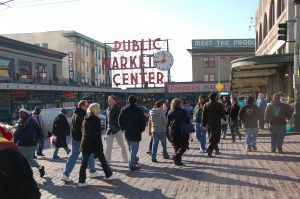 The number 1 ranked safest city in the United States for pedestrians is Seattle, Washington, followed by Boston, Massachusetts and Washington, D.C. at number 2 and 3. In Seattle, we are fortunate to have a relatively safe environment for pedestrians, due in large part to safety measures that have been implemented in recent years. Among those Seattle residents surveyed, 96 percent felt the city is safe for pedestrians and 97 percent found the city proactive when it comes to pedestrian safety. These sentiments are likely the result of such measures as “Safest Route to School,” which created 501 new cross walks in Seattle to ensure children traveled to school safely, as well as the city of Seattle’s new master plan to make Seattle the most walkable city in the nation. The city of Seattle hopes to achieve improved pedestrian safety and walkability through taking the following measures: 1) Install sidewalks, curb ramps, and marked crosswalks; 2) Install and maintain pedestrian and school crossing signs; and 3) Construct curb bulbs and crossing islands at pedestrian crossing locations. Other safety measures that could be taken to increase safety include adequate traffic signs, adequate signal time to cross streets, and ample street lighting. At Kraft Davies we suggest taking the following measures as pedestrians, and as drivers, to ensure pedestrian safety. As a pedestrian you should avoid using your cell phone while walking and avoid the use of headphones while crossing the street. All pedestrians should use crosswalks, look both ways when crossing the street, and never jaywalk. In addition, when crossing the street, if possible, you should make eye contact with drivers of oncoming vehicles. Furthermore, pedestrians should wear appropriate attire and/or make yourself visible to motorists. As a driver we highly recommend not using your cell phone while driving. In addition, drivers should take extra precautions near school zones, or where children are playing. Furthermore, when approaching crosswalks drivers should be extra cautious. At Kraft Davies we represent pedestrians who have been struck by motor vehicles. In the event that you have suffered an injury as a pedestrian, our lawyers are available to consult with you regarding your injuries. Please call us at (206) 624-8844, or contact us through this website.